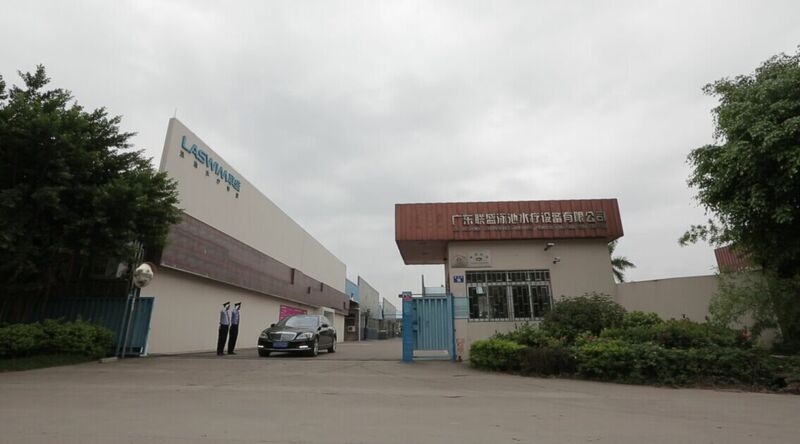 Since founded in 1989, Guangdong Laswim Pool & SPA Equipment Co., Ltd has been devoting to promoting well-being of mankind, beautifying living environment and improving life quality. It has experienced more than 30 years' vast development and become an industry leader in pool and SPA industry in China markets. Through an ongoing effort to diversify products, a complete line of energy efficient residential and commercial pool products are developed, including endless pool units, pumps, filters, chlorinators, lighting, heat pumps, ladders, starting blocks, racing lane, underwater observation windows, white goods, Jacuzzi and SPA Pool. Laswim invests heavily in state-of-the-art manufacturing. The manufacturing facilities are equipped with the extensive capital items needed to minimize manufacturing costs while maintaining quality of the highest standards. Laswim is committed to certification under IS0 9001 worldwide standards for quality. Laswim has built its reputation on a commitment to provide quality products and services while rapidly responding to international needs for the products. LASWIM will continue to seek out acquisition opportunities that enhance and expand product offerings, and strengthen global presence. LASWIM remains dedicating to the development and progression of what it deems to be its greatest and most valuable resources - its employees. By providing professional development opportunities, employees are given the chance to increase their responsibility within the organization. LASWIM also energetically trains various talents, aiming at providing high quality products and value added services to the clients. Foreign experts are also permanently invited for technical guidance and training. In an effort to work more efficiently and effectively with customers, LASWIM embraces a "Surpass, Value, Win-Win "strategy that focuses the company as an intimate partner in business, rather than hardware centered organization. LASWIM will continue to forge ahead in pursuit of excellence perfection and write a new chapter in the industry. Sincerely welcome to join people with lofty ideals for a better future together!